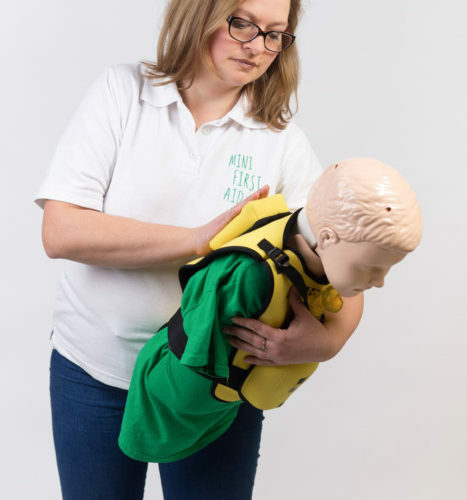 Local mumpreneneur Aga Michalik is launching a series of Mini First Aid classes for adults and children across the Bath, Swindon and North Wiltshire region from April 2018. Aga has certainly had her share of first aid situations at home as a mum of four children aged 3, 5, 13 and 15. 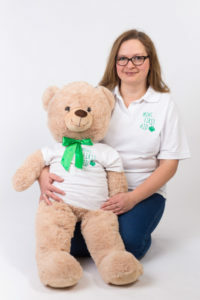 In addition, as the first Polish trainer to join Mini First Aid, she will also be offering first aid classes to the large Polish community in the South West. “The classes have been developed with education specialists to make sure that not only are the subjects covered appropriate for the age and ability of the child, but also that the teaching styles are innovative, memorable and fun. For children in YR, Y1 and Y2, there are the Early Years classes, which involve role play-based 30 minute sessions. Session one is all about making Teddy better. Children learn how to call for help, deal with bleeding, head bumps and even learn the recovery position. They read a storybook Mini Adventures of Freddie at the end, which the class gets to keep, plus all children receive a certificate. “Session two is about choking, how to prevent it and how to develop good eating habits. We practice chopping the food and we read another book about Freddie – Sit, Chop, Chew. Mini First Aid Bath also offers two hour baby and toddler first aid classes for small groups of parents and carers. 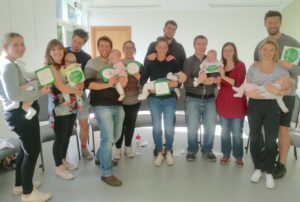 Classes are informal but informative, and cover choking, basic life support, dealing with burns, breaks and bumps, bleeds, febrile seizures and meningitis awareness. Aga also offers private classes by arrangement to suit a family’s needs. Regular adult classes are taking place at Percy Community Centre and St Andrew’s Community Church in Bath; the Quakers Meeting House in Bradford on Avon; Hush-A-Byes baby boutique in Midsomer Norton; Pewsham Community Centre in Chippenham; and various locations in Swindon.